Bold, black finish with faux marble tops. 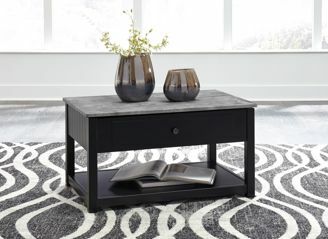 Lift top cocktail table with moderate scale is perfect for small space living. 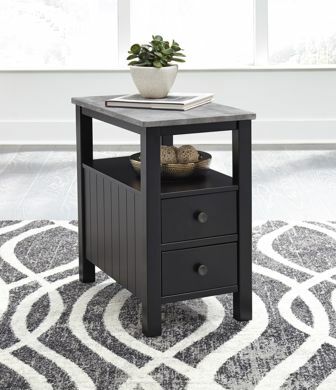 End table features two convenient drawers. T341-9 has casters for mobility.